American country music singer - Born September 26, 1947 in Grand Forks, North Dakota and died July 30, 2015 in Nashville, Tennessee. She is best known for her Grammy Award-winning, country crossover mega-hit, "(I Never Promised You A) Rose Garden." Daughter of Liz Anderson and Casey Anderson. 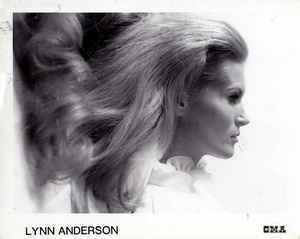 Lynn was married to Grammy Award-winning songwriter Glenn Sutton from 1968 to 1977. They had one child together. In 1978, she married Louisiana oilman Harold "Spook" Stream III, with whom she had two children. Stream and Anderson divorced in 1982.